Please join AWC-SB for the film Wonder Women: The Untold Story of American Superheroines followed by a discussion. We start the new year off at our new location on a new night. Wonder Women! is a nuanced critique of gender and heroism in popular culture. 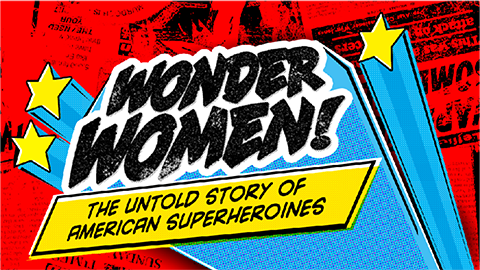 From the birth of the Wonder Woman comic in the 1940s to the blockbusters of today, the award-winning 55-minute PBS documentary looks at how representations of powerful women often reflect society’s anxieties about strong and healthy women. Wonder Women! goes behind the scenes with Lynda Carter, Lindsay Wagner, comic writers and artists, and real-life superheroines such as Gloria Steinem, Kathleen Hanna and others, who offer an enlightening and entertaining counterpoint to the male-dominated superhero genre. For more information go to: wonderwomendoc.com. This entry was posted in Past Events on January 4, 2016 by Lisa.